Frank Brangwyn: original lithograph of Gare du Nord. c.1920. 31.5 x 43cms. In old mount, attached along top edge. This original lithograph along with 2 others was published in Frank Brangwyn Zwanzig Graphische Arbeiten, published in 1921 by Wolf, Vienna. The book also contained 17 reproductions of drawings. Category: Miscellaneous. 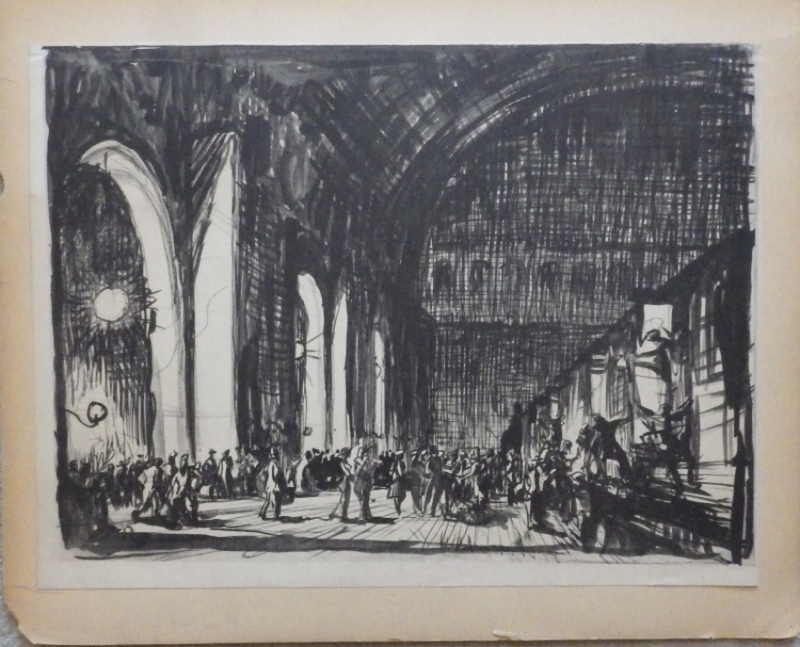 Tags: Frank Brangwyn lithograph, Frank Brangwyn lithograph Gare du Nord.